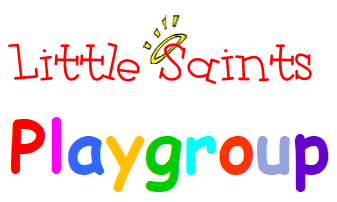 Weekly Monday morning during term time, Playgroup is held in our General Purpose room. It is a great opportunity for children to learn and develop their skills as well as spend some quality time with their parents or caregivers. It is also a valuable time to meet others from the community and form new friendships. The session runs from 9.00am - 10.30am and we welcome all children and families. The cost is $2 for first child and $1 to cover all subsequent children in family. Ready 4 School is a pre-school learning initiative where young children, together with a parent, can become familiar with the school environment and its structures, and be involved in some fun Literacy and Numeracy beginning activities. Sessions are for children aged from three to five years old and are designed to help prepare your child for school in a safe, friendly setting. It is a great opportunity for hands on learning and social interaction. All sessions are free and open to all. For more information or to register for sessions please contact the school front office. Thank you for your interest in enrolling your child in our School Community. We welcome new students at any time throughout the year. At St Joseph's School we offer quality, affordable education from the Early Years through to Year 12 plus Boarding placements from Year 8 - 12. Students can also access a bus service from Tumby Bay with various pick up locations along the way. See Current Students section for more details. We are happy to accept enrolments at any time. If you have any enrolment enquiries, please contact the Student Registrar. At the beginning of the year prior to commencement date, a meeting will be arranged with the Principal, yourself and your child/children. A formal letter offering your children placement at St Joseph's School will be sent by the Principal together with a Student Acceptance Form. Your acceptance of placement will be confirmed by returning the Student Acceptance form, along with a payment of a non-refundable deposit of $100. This deposit will be deducted from your child's tuition fees on commencement of their schooling. St Joseph’s School offers scholarships for partial remission of fees to students who would benefit from and contribute to Catholic education in our community. Scholarships may be awarded to young people whose family would otherwise find it difficult to meet the cost of school fees, and who show a commitment to academic achievement, service and leadership in the tradition of St Joseph and St Mary of the Cross MacKillop. Scholarships will be awarded on the basis of a range of criteria, which take into account the merit and need of eligible students. Students must complete their schooling at St Joseph’s School to qualify for a scholarship. Early departure/transition to another school may require the Scholarship to be repaid to the school. Up to two scholarships for $2500 p.a. each will be awarded annually to students entering St Joseph’s in the Middle School, Years 7-9, for a period up to three years depending on enrolment starting point. Scholarships will be awarded based on a portfolio of evidence of growth mindset, academic achievement, contribution to community and commitment to MacKillop values. Up to two scholarships for $2500 p.a. each will be awarded annually to students entering St Joseph’s in the Senior School, Years 10 - 12, for a period up to three years depending on enrolment starting point. Scholarships will be awarded based on a portfolio of evidence of growth mindset, academic achievement, contribution to community and commitment to MacKillop values. Two St Joseph the Worker scholarships for $2500 p.a. will be awarded annually to students entering the school in Year 11 or Year 12 (for a maximum of 2 years) to pursue a Vocational Education and Training (VET) Pathway in Construction or another clearly defined and committed VET pathway. A Creative and Performing Arts scholarship for $2500 p.a. will be awarded annually to a student entering the school in Year 11 or Year 12 (for a maximum of 2 years) to pursue a creative/performing arts pathway. or all Scholarships, evidence of academic achievement and application to study at the school from which the student is transitioning (see application process). Evidence of extra-curricular and community leadership/involvement (see application process). Satisfactory interview with the Principal, demonstrating commitment to upholding the values of St Joseph’s School. Applicants Academic Reports for the previous two years. Two references in support of the application. This may include the school principal or a teacher, community leader, parish priest or minister, employer, sporting coach or club leader. Names and addresses of referees should be provided to validate the references. A personal statement of 400-500 words (to be completed by the student) outlining their strengths, achievements and how they live the values of faith, hope, love and respect in their daily lives and schooling. Scholarship applications will close at the end of Term 2. Short-listed applicants will be notified at the beginning of Term 3, with interviews conducted with the Principal by Week 5 in Term 3. Applicants will be notified of the outcome no later than 3 weeks after their interview. All information provided to the school will be kept in the strictest confidence and will be assessed by the Principal. We respect the sensitivity of families who are successful in receiving a scholarship and therefore there will be no formal recognition of successful applicants. A smooth transition to our school is very important to the well-being of our students. St Joseph's School places great importance on implementing a supportive and informative transition process for students and the families new to our community. For those children still at kindergarten, our staff will visit their kindergarten, where time is spent observing and talking with them. They also meet with the Kindergarten teachers to cover specific detail about each new student. During these visits, parents are asked to attend a brief information session outlining key details relevant to the Junior Primary years at St Joseph's School. Future Primary students attend an Orientation day late in Term 4, visiting classrooms of their current year level, mixing with our current students. They also visit next year's teacher and classroom. Parents are invited to an information session early in the New Year, where staff inform them of classroom procedures and answer any questions. Students going into Year 8 attend an orientation day with their peers. The students are given buddies for the day and have a fun day familiarising themselves with our School. Those students transitioning into other Secondary Year levels also attend a transition day mid-way through Term 4. Students experience what a day at St Joseph's School will be like. Parents are invited to an information session early in the New Year, where staff will inform them of classroom procedures and answer any questions. Students that join our school family during the year are introduced to a buddy who will help them settle in and start new friendships. Please refer to the Parent Information Page.